puts out the siren call, "We plan to have a strong showing with two bus loads of supporters! Your presence will be a powerful statement on the importance of Mystic Aquarium & Institute for Exploration and the impact we have on our community". Without directly naming the Governor's party affiliation, clearly the implication is that the Republicans aren’t doing anything to help “fund” tourism. I should point out that Connecticut is a very blue state and the Connecticut 2009-2011 House legislature consists of 36 Republicans and 114 Democrats. Clearly, there is enough of a Democrat majority to override an Governor veto of tourism funding. But let's put aside which political party has power in Connecticut. According to Forbes Magazine, Connecticut is the 3rd (ranked 48 out of 50) most in debt state in the U.S. Since we are so in debt, shouldn’t we be spending less money? Whether it's promoting tourism or giving unsustainable pension packages in Connecticut, we need to to tighten our belts. The five states in the worst financial condition--Illinois, New York, Connecticut, California and New Jersey--are all among the bluest of blue states. The five most fiscally fit states are more of a mix. Three--Utah, Nebraska and Texas--boast Republican majorities and two--New Hampshire and Virginia--skew Democratic. Even if Connecticut were to fund some tourism, what tourism hotspots are there to promote in this state? I've lived in Connecticut my entire life (39 years) and there is not much to visit here. Other than Mystic Aquarium, Mystic Seaport, and the casinos, why else would someone visit CT? Sure, there are beaches, but people go further north, to Cape Cod, if they want to go to the beach. They don’t come to Connecticut. The two Connecticut casinos need no promotion. Not only do these two business enterprises have plenty of cash to fund their own promotion, they are owned and operated by Native Americans, so there are legal issues with Connecticut tax payers giving money to the casinos for marketing. That leaves just one tourist spot in Connecticut worth promoting - Mystic Aquarium. So let's call this what it is. This is a call for Connecticut tax payers to help fund Mystic Aquarium. Perhaps Mystic Aquarium should promote their business themselves instead of relying on Connecticut citizens to bankroll their marketing materials? 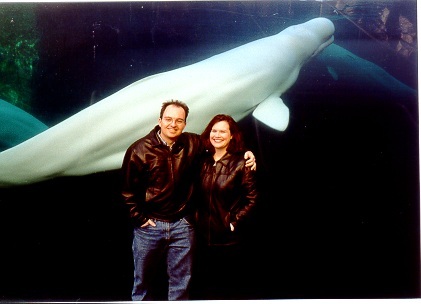 I've known about Mystic Aquarium since I was 5 years old. Every kid in this state knows about it because their schools and/or parents take them there as well as Mystic Seaport. It's the #1 school trip destination for Connecticut's students. So if everyone knows about it, why do the tax payers need to bring more "awareness" to it? Sure, marketing materials are more than just awareness. They can help entice people to come as well. But I still have a major problem with Connecticut's tax payers essentially directly funding a private enterprise under the auspices of a tourism fund. I should add that Sea Research Foundation currently has nearly $60 million in assets and earned nearly $20 million in 2009, according to this link. Not exactly a poor business. Mystic Aquarium does good work with marine animals and if they were truly in dire straits I'm sure people would come to their aid with charitable contributions. But only after some layoffs and pay cuts for their employees. That's the way business works in a capitalist society. You tighten your belt in hard times and reward your best employees in the good times. You don't go running to your State's legislature looking for a handout. I should add that the email tries to hide their political slant by mentioning both the Democrat and Republican nominees for Governor (Democrat Dan Malloy and Republican Tom Foley) to “appear” unbiased. Perhaps to avoid risking their charitable organization status? But the clear implication is they are busing into Hartford -- SEIU-union style (see pic to left) to make sure they get “their” piece of the taxhpayer pie. Have they not heard of the TEA Party? This is not the year to be promoting more spending, but especially in a state on the verge of insolvency. Subject: Mystic Aquarium Needs Your Help! You're receiving this email because of your relationship with Mystic Aquarium & Institute for Exploration and Sea Research Foundation, Inc.
As many of you know, this past year tourism in Connecticut has taken a major hit, particularly due to the fact we are the only state in the United States who budgeted no money for tourism marketing. Mystic Aquarium & Institute for Exploration needs your help to gather friends and family to join us on a bus trip to Hartford to attend the Gubernatorial Forum on the Future of Culture and Tourism Funding and Jobs in Connecticut Wednesday, September 29, 2010. We need to be united in our efforts to ensure that our next Governor prioritizes an increase in funding to protect and grow jobs and promote economic vitality. Join our colleagues and friends from various culture and tourism entities to listen to Democrat Dan Malloy and Republican Tom Foley address their plans for the future of culture and tourism in Connecticut, and help relay our message to them as they form their position. We will leave from the Aquarium at 9:30am and will return by 2:00pm. Box lunches will be provided. We plan to have a strong showing with two bus loads of supporters! Your presence will be a powerful statement on the importance of Mystic Aquarium & Institute for Exploration and the impact we have on our community. If you are able to join us, please contact Donna Zdanis by email before Monday, September 27, 2010. This email was sent to *** by membership@mysticaquarium.org. Governor M. Jodi Rell has been a strong friend of conservation efforts and of Mystic Aquarium & Institute for Exploration throughout her tenure as a legislator, Lt. Governor and Governor. I am extremely proud of my own association with Governor Rell and without reservation commend her service to the people of Connecticut. Mystic Aquarium has joined with every major cultural institution and attraction in the State of Connecticut, as well as restaurants and hotels, in organizing a policy forum for both candidates for Governor in the State of Connecticut. This is a strictly non-partisan event designed to highlight the importance of tourism to the state economy and the need for the state to recognize and invest in tourism as policy solutions for the future are contemplated. Governor Rell faced difficult budgetary choices. The future Governor must determine how and when to invest in economic development. Both Republican candidate Tom Foley and Democratic candidate Dan Malloy have indicated that they plan to make investments in building the state’s economy and attracting business to the state. Both Tom Foley and Dan Malloy have visited Mystic Aquarium in recent weeks and we are grateful for that and appreciative of their strong interest in our mission. As a policy going forward we believe that the State of Connecticut must invest in marketing campaigns to support tourism to the State that all attractions will benefit from and that ultimately returns tax revenue to the state. Both candidates for Governor agree with this basic proposition. The event in Hartford on September 29th is intended as an opportunity to show support for that basic position and to underscore the importance of tourism jobs to this state which is currently reeling from unemployment. Governor Rell has served Connecticut well and deserves our thanks. Tom Foley and Dan Malloy are excellent candidates and we stand ready to support either one of them and to work with them in building a better and stronger economy for the State of Connecticut.